Your tire repair kit needs to be able to withstand the toughest repairs, testing conditions and rough treatment. 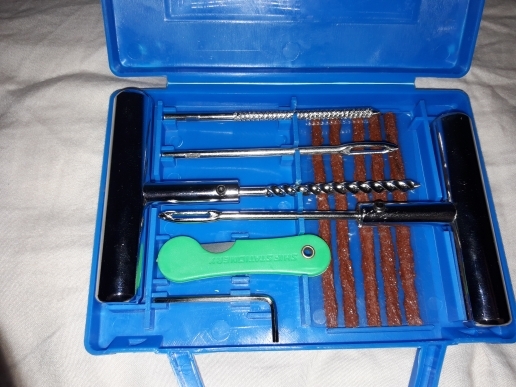 The Heavy Duty 12 Piece Tire Repair Kit is made with the best materials available. Engineered to be durable and built to last. 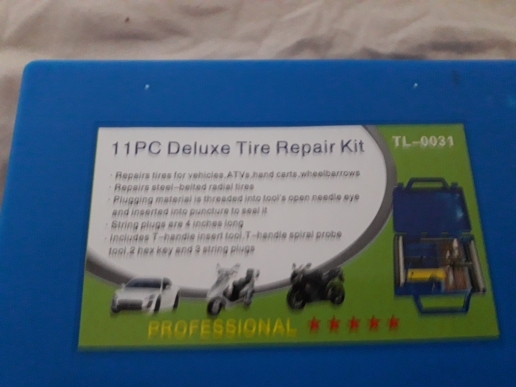 This tire repair kit is ideal for Motorcycles, ATVs, Lawnmowers, Tractors, Bikes, Jeeps, Trucks and other Cars. Size: Approx. 12.6 x 9.5 x 1.5cm/ x x inch (LxWxH). High quality with strong strength and maximum endurance. Not easy to deform. Can easily stick through tire with spiral design to clean the debris conveniently and easily. Easy to use and store. Suitable for different cars, motorcycles and electric vehicles. solid looks, completely not like . solid looks, completely not like .. tube hollow metal holders шиномотаже seen that tool professional.